#HarassmentFreeAlbany, a campaign started by the Sexual Harassment Working Group, was launched by seven former New York State legislative employees who experienced, witnessed, or reported sexual harassment by former Assembly Members Vito Lopez and Micah Kellner, former Counsel to Speaker Sheldon Silver Michael Boxley, and Senator Jeff Klein. As the nation started to shine a light on what it means to say “me, too,” victims began to recognize the power and influence they have. The members of the SHWG were no exception. Individually, our passion for public service and desire to no longer be silent compelled us to come forward and start organizing. We met for the first time through mutual colleagues, and by the end of the night, it was easy to see just how much we could accomplish together. On March 22, 2018 the Sexual Harassment Working Group publicly urged the New York State Legislature and Governor Andrew Cuomo to conduct a meaningful, transparent process to review and establish the state’s sexual harassment policy. Instead elected officials passed incomplete and, in some cases, ill-conceived laws without sufficient input from experts, advocates, or victims. Although some of these new state laws do add protections, they fall far short of where we need to be in order to protect workers from the egregious misconduct that continues to dominate Albany headlines. 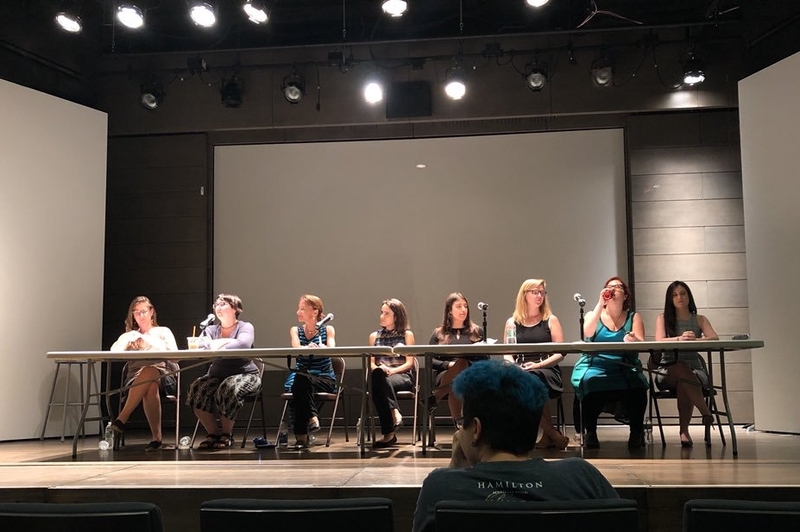 On February 13, 2019, the SWHG testified at the first joint legislative public hearing on sexual harassment, the first of its kind in New York State in over 27 years. The hearing lasted over 11 hours. The SHWG is now urging the legislature to create a report assessing information gained through the hearing and testimonies, and to identify patterns and legislative solutions to improve worker protections. The SHWG is also urging additional hearings to gain additional information which will be useful in crafting legislation. The Sexual Harassment Working Group is non-partisan, does not endorse nor support any elected officials or candidates for public office, and does not receive any lobbying funds.